I AM two of the most powerful words, for what you put behind them determines your reality. The words “I am”, which you consistently use to define who you are and what you are capable of. Throughout life you have been through a conditioning process that has created a mind-set overflowing with I am nots. WHAT CAN YOU DO? Watch your thinking. Teach your outer self to accept the unlimited power of your inner spirit and watch the things you place in your imagination become true for you. Create affirmations that start with the words I AM, then read and/or speak them aloud daily. (I.e., I am blessed everyday). Set your intention for the day first thing in the morning. 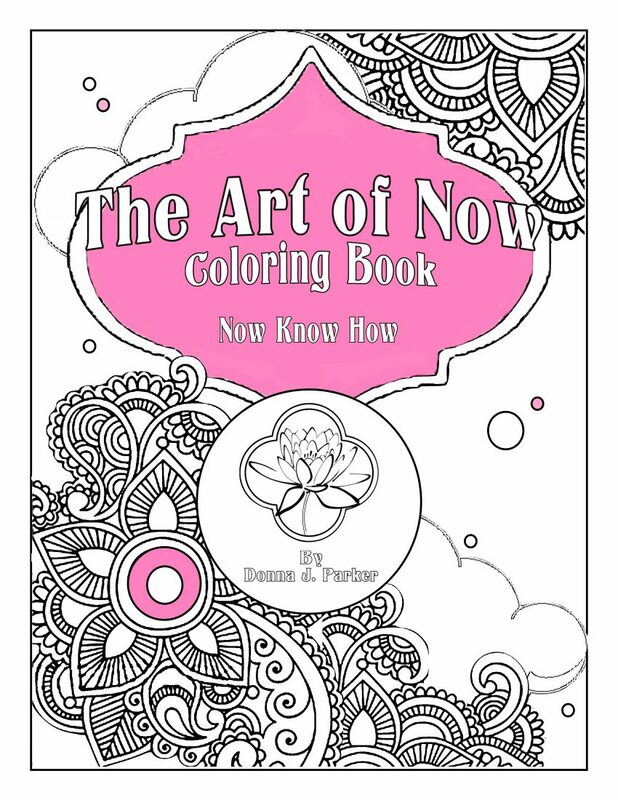 The Art of Now Coloring Book is available online at Amazon. I love your graphics and beautiful writing. Too awesome not to share….. Sharing my social media pages. Beautifully writing. Short and to the point. You can also set your intentions with the power of now and being aware of your thoughts. It’s great affirmation as we only ever have the current moment. I am, because inside me resides the light and you see light has no shadow. Thus I am just a witness.